Alexandriah Stahr offers various Living Light Healing Energy Attunements sponsored by the Ashtar Command and Collective Christ for a variety of Christ Vibration Energy Rays for both self-healing and professional healer training. 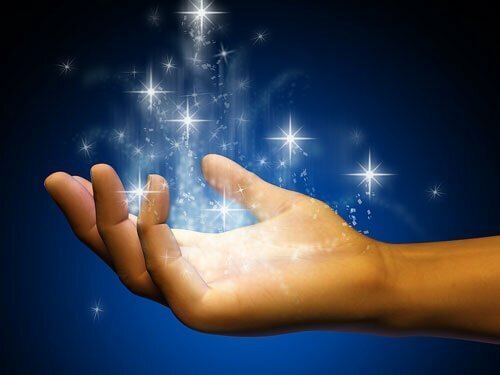 These Living Light Healing Energy Attunements, activate the healing ability in your hands and your presence and enable you to heal yourself and others. The Living Light Healing Energy Attunements are done in a single activational phone session, which includes instructions on how to work with the energy. Any of the individual Living Light Healing Energy Attunements can be done after you have gone through the 2 Week Fast Track Program by phone with Alexandriah Stahr. The main reason for this is that using and working with the energies opens you to receiving intuitive guidance in their use. Your consciousness needs to be as free of unChristed Influence as possible so that you are more effective in your healing work. The Living Light Healing Energies are easy to use and are activated through intent once you have been attuned to them. Some are hands-on and some are projected through your presence and intent for what is called Presence Healing. Previous Reiki training is a plus, but not necessary. The following is a brief description of the Living Light of EELA which is the first energy attunement that Alexandriah offers. Additional Living Light Energy Attunements are offered to Alexandriah’s Monthly Star Team Members and are discussed and offered as you go through the process of Getting Free from the MATRIX. Living Light of EELA is a universal healing ray sponsored by the Mother Goddess EELA who is also known as Mother Nature. The Living Light of EELA is always the first Living Light Healing Energy Attunement Alexandriah offers her clients. Not only is it a universal healing ray that anyone can use, it has many practical applications. First and foremost, The Living Light of EELA channels Living Light Healing Energy, which is fuel for the physical body as well as all corresponding energy bodies. If and when someone goes through surgery, the Living Light of EELA will enable the person to recover twice as fast as not having the Living Light of EELA available. In addition, the Living Light of EELA helps souls who are at the end of their earth journey transition through death. Alexandriah teaches all of her clients how to deal with earth bound spirits and the ability to channel the Living Light of EELA is part of that training. The Living Light of EELA is like having a first aid kit in your hands that you can use for self-healing and/or the healing of others. The Living Light of EELA also activates your healing ability for both in person and absentee healing. All of this healing ability is done through a single Living Light of EELA Attunement done by phone. An instructional manual is included as well. Once attuned, the energy and your ability to use it grows over time and practice. Once you prepay for your Living Light of EELA Attunement, you will receive email confirmation and instructions on what to expect and how to schedule your appointment time within 24 hours.